Gamescom is one of the most important events for videogame developers in the world. It takes place every year in Cologne, Germany and it attracts almost 400.000 visitors each year. 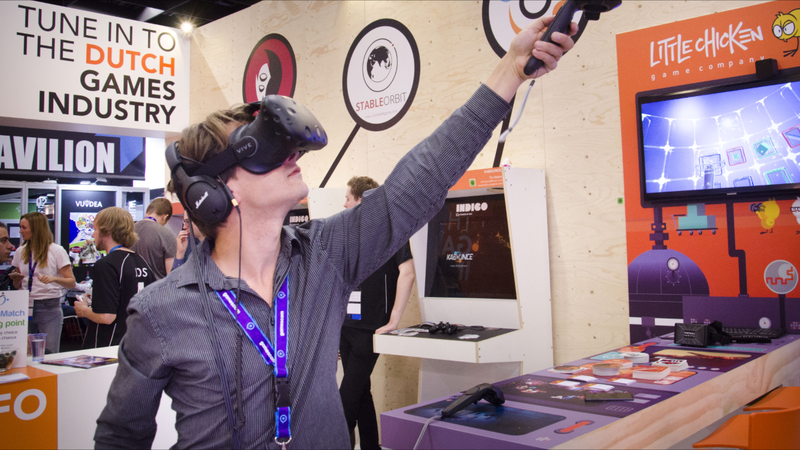 Dutch Games Association has been supporting and/or organising the Dutch Pavilion over the years, where we host and showcase the most inspiring and creative Dutch developments.